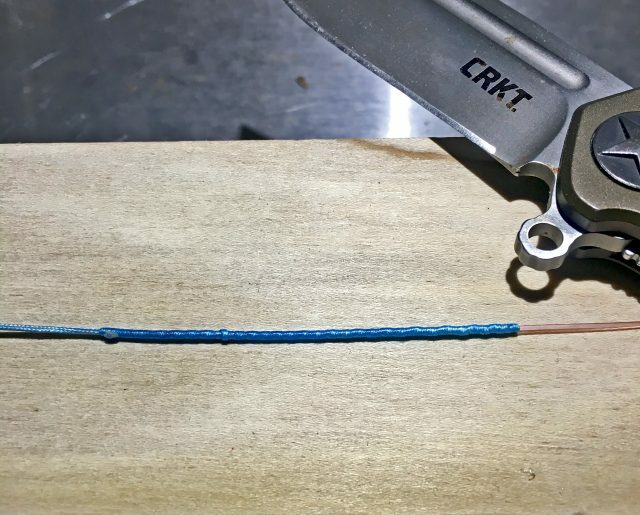 If you read last year’s review on Seaguar ThreadLock spectra and Pink Label Fluorocarbon you may remember that I had some trouble with the Chinese finger trap leader connection I’d seen in a YouTube video about the line. I’ve continued using both the line and leader since then and couldn’t be happier with them but have had to use the same Tony Pena knot I used with solid braid. After spending quite a bit of time looking at different knots and ways of serving the leader connection, I finally found one that was simple and has so far proved to be both bullet proof when used and idiot proof when tying. The photo at the top shows the tools you’ll need. Starting on the left is a bow string bobbin. This is what archers use to tightly wrap twine around their bow strings. I bought mine on Amazon for under twenty bucks. 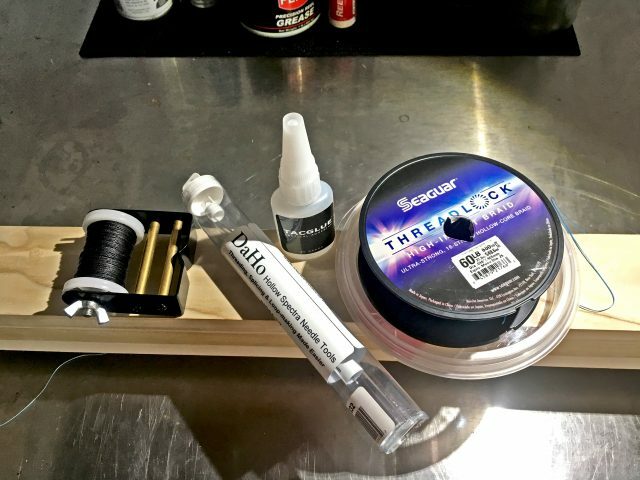 You’re not actually going to be using the twine but you’ll want to get one because you’re going to be using it to hold your spectra while rigging. Next up is a rigging needle appropriate to the size of the leader you’re using. You can pick them up at Melton Tackle and they each fit a small range of line weights. I picked up three, 30-40, 50-60 & 80-100# because those are the leaders I normally use. While you’re on the Melton site I recommend picking up a bottle of Tac Glue to finish your knot. It’s a little more expensive than crazy glue but works much better. You’re also going to need a serving jig to hold your line. You can buy one here for about $150 or you can just make one like I did. I bought a couple clamps at Home Depot and mounted them to some wood I had leftover from a project, total cost was about $20. 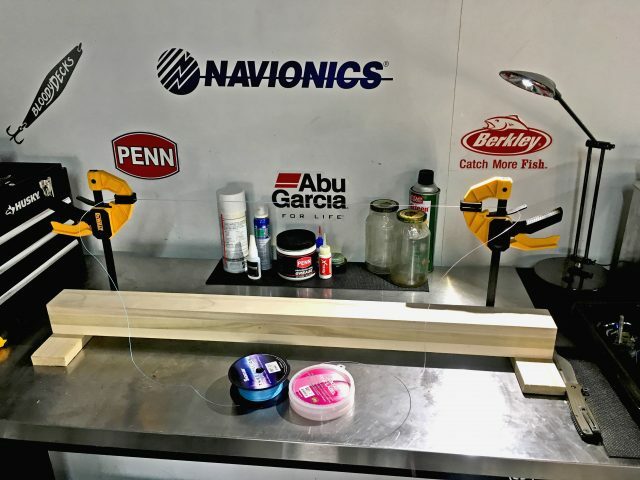 Once you have your tools and your serving jig you can get started. This video shows how it’s done. Once finished the knot is small enough to go through the guides while casting and, unlike my previous attempt at knot tying, this leader connection won’t fail on the first cast. Check out more how to fishing and boating tips from Erik HERE.